A product designed to put a protective shield on the surface of any carpet without harming the fabric. 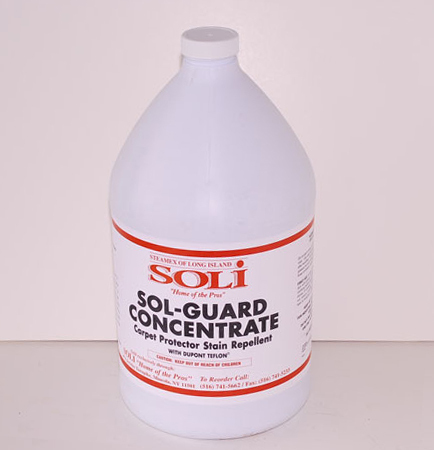 Sol-Guard Stain Repellent is a product designed to put a protective shield on the surface of any carpet without harming the fabric. 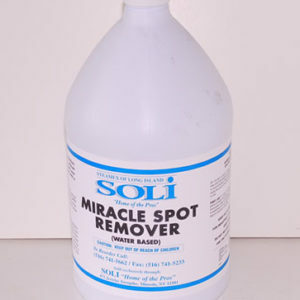 Stain repellent that prevents rapid resoiling on rugs after shampooing or extracting. Reduces static. 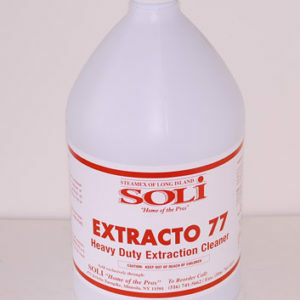 Lengthens the time between shampooing or extracting. 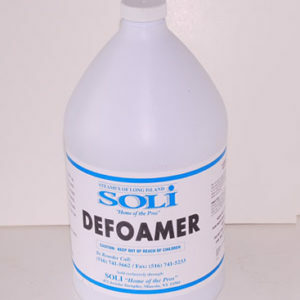 Contains Dupont Teflon highly effective anti-soil and anti-static product. 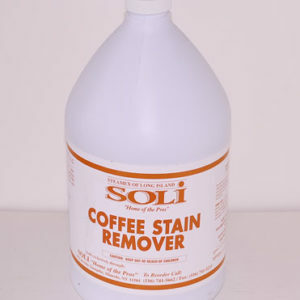 For hotels, motels, homes, lobbies, waiting rooms and any other carpeted area where staining is a problem. Can be used on upholstery as well. 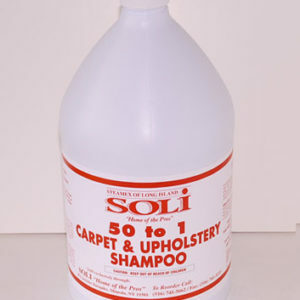 Carpet: Use as is or up to 5:1 with water. Coverage is up to approximately 1000 square feet per full dilution.